The champions led 2-0 through Philippe Coutinho and Malcom. But Villarreal then led 4-2 with Samuel Chukwueze, Karl Toko Ekambi, Vicente Iborra and Carlos Bacca scoring. 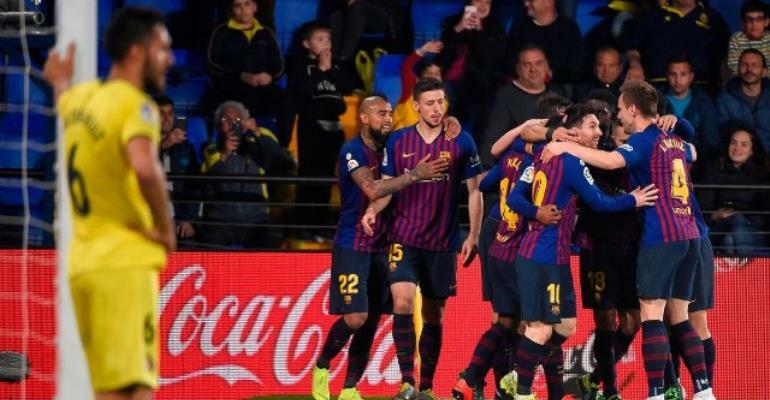 The struggling hosts had Alvaro Gonzalez sent off and Barca took advantage with substitute Lionel Messi's 90th-minute free-kick and Luis Suarez's injury-time equaliser. Barca are eight points clear of second-placed Atletico Madrid going into Saturday's meeting at the Nou Camp.